Accommodation is offered in 4 rooms in the house, 3 of which have en-suite bathrooms and 1 of them have a separate private bathroom. All rooms have air-conditioners. Outside there are 3 self catering facilities. A 2-bedroom cottage, a Golden Room (wheelchair friendly) and a Family Room. In-room amenities include white linen and towels, TVs with selected DStv channels, air conditioning and tea- and coffee-making facilities. The rooms are serviced daily. 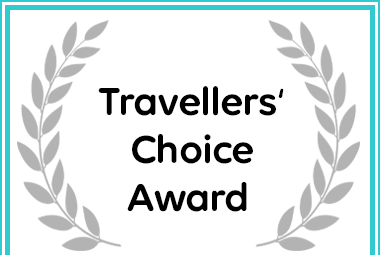 Breakfast available at R80 per person, R40 per child 0 - 6 yr.
Jakkalsdraai Guesthouse in Potchefstroom received a 2019 Travellers' Choice Award. The room has a queen size bed and an ensuite bathroom with a bath. This room is situated upstairs in the Guest House. In-room amenities include air-conditioner, TV with selected DSTV selected channels and tea and coffee facilities. The room is serviced daily. This room is also serviced daily. This room features a double bed and an ensuite bathroom fitted with a shower. This room is situated downstairs in the Guest House which also includes a private entrance from the parking lot. In-room amenities include a TV with selected DSTV channels and tea and coffee making facilities. The room is serviced daily. Facilities: Air Conditioning Internet Ready Tea and Coffee Bed Linen supplied Towels. Facilities: Air Conditioning TV Internet Ready Tea and Coffee Bed Linen supplied Towels. The room has a double bed. Guests have access to a separate private bathroom with a shower. This room is situated upstairs in the Guest House, air-conditioner, a TV with selected DSTV channels and tea and coffee facilities. This room is serviced daily.